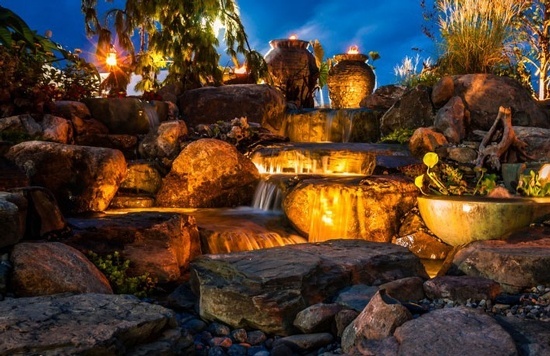 With the addition of landscape lighting to your design, you can also enjoy your water features, landscaping structures, trees and shrub in the evening. Abba Landscaping’s outdoor lighting can be an amazing compliment to any landscape design. Properly installed landscape lights provide a sense of security, allow your outdoor spaces to be enjoyed even at night, and highlight great features in the landscape. We offer design and consultation services for the DIY pond builder as well as on-site construction assistance as required. We are a fully insured and experienced team of professionals. All of our landscape projects are installed using proper techniques and base preparation in order to guarantee the durability and longevity of the design. We can supply all the components you need to create the outdoor lighting of your dreams.